This is Weather Report on the 28th June 1978 at the Shinjuku Kouseinenkin Hall, Tokyo, Japan. Weather Report was an influential American jazz band of the 1970s and early 1980s. The band was co-led by the Austrian-born keyboard player Josef "Joe" Zawinul and the American saxophonist Wayne Shorter (and, initially, by Czech bass player Miroslav Vitouš). Other prominent members at various points in the band’s lifespan included Jaco Pastorius, Peter Erskine, Alphonso Johnson, Airto Moreira and Chester Thompson. 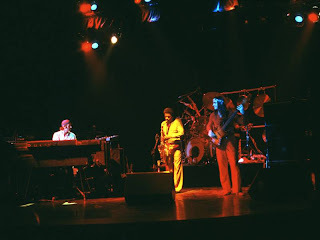 Alongside Chick Corea's Return to Forever, Herbie Hancock’s Headhunters, The Mahavishnu Orchestra, and the early 1970s Miles Davis electric bands, Weather Report is considered to be one of the pre-eminent jazz fusion bands, although the band members themselves disdained the term. As a continuous working unit, Weather Report outlasted all of its contemporaries despite frequent changes of personnel, with a career lasting sixteen years between 1970 and 1986. There is a considerable variety of styles and genres in the first November new music round up along with a considerable amount of globe trotting with artists from all over the place, maybe not something for everyone but certainly something different on occasion. 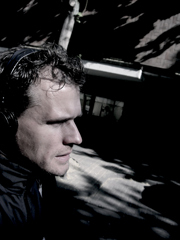 Some background on Jumpel who began life in 2005 when Jo Dürbeck, formerly of the German band Bones, began to write and record his own music. Prior to Bones, Jo’s formative musical experiences involved playing with empty detergent cans, boxes and a piano in his parents’ cellar. 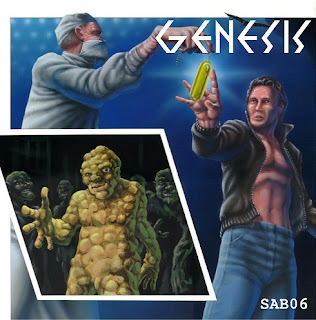 In 1986 he bought a Commodore C-64 computer and discovered electronic music.